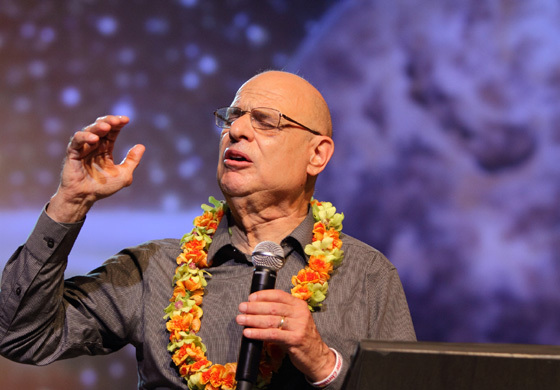 Dr. Campolo speaks over 120 times a year throughout the United States and around the world, addressing a diverse range of audiences and gatherings from church services and revivals to celebration banquets and fundraisers. He generally books his speaking calendar 18 months in advance and even dates that appear free are sometimes being negotiated with other groups. Only dates that have been formally accepted by his office are reserved on his speaking calendar. To initiate a speaking request, complete the invitation form linked to here on this page. Please allow one weeks’ time for Dr. Campolo’s office to evaluate his ability to fulfill your request. All submitted invitations will receive a written response. Should you have any question related to hosting Dr. Campolo as a speaker or his invitation process, please email his office at tcampolospeaker@eastern.edu or +1 610-341-5962. Expenses – Expenses related to hosting Dr. Campolo as a speaker are comprised of the agreed upon honorarium and the travel expenses incurred during travel to and from your engagement. Travel expenses are determined according to one of the following categories. Expenses for international engagements include roundtrip mileage or fare to the airport, roundtrip economy1. airfare for Dr. Campolo and his wife, Peggy (or another travel companion should he choose to be accompanied), ground transportation as required2. (train tickets, rental car and fuel, parking, tolls, taxi, etc. ), hotel accommodations, and meals. If the required flight exceeds nine hours then business class airfare or other arrangements will be required for Dr. Campolo and his travel companion. This refers to trips where the host organization has not arranged to have Dr. Campolo picked up and dropped off or situations where a rental car is required for logistical reasons. Expenses for distant domestic engagements include roundtrip mileage to the airport or train station, roundtrip economy airfare or train fare for Dr. Campolo and his wife Peggy (or another travel companion should he choose to be accompanied), ground transportation as required1. (train tickets, rental car and fuel, parking, tolls, taxi, etc. ), hotel accommodations, and meals. Expenses for local engagements (within a two-hour drive of Philadelphia) include roundtrip mileage to the venue, parking and tolls, hotel accommodations if an overnight stay is required, and meals. Cancellations – Since financial commitments may be incurred while preparing for your engagement, whether due to lost opportunities or mass transit reservations, a provision has been made to cover these expenses, when necessary, in the event of you cancelling. A $1,500.00 fee for each reserved day may be required at our discretion should you choose to cancel this event after entering into an agreement with Dr. Campolo. If it becomes necessary to cancel, please contact our office as soon as possible so we can work with you to minimize this expense. Travel Arrangements – All travel arrangements are made by our office due to the complexity of Dr. Campolo’s travel schedule. To develop an estimate of the required airfare, simply plan on the cost of a round trip from the Philadelphia International Airport (PHL). Rest assured that we always seek the best possible fare when making travel arrangements. Lodgings – Dr. Campolo, without exception, requires that lodgings for all speaking engagements be made at an establishment, rather than in a private home. For domestic engagements, lodging arrangements are made by our office based on the host organization’s recommendation, unless a cheaper reservation can be secured by the host organization. For international events, we ask that the reservations be made by the host organization. Schedule Limitations – Any activity where Dr. Campolo’s participation is requested must receive prior approval by our office. There can be, absolutely, no ‘add-ons’ (interviews, question-and-answer sessions, special meals, prayer meetings or book signings) without prior, written approval from our office. It is not necessary to entertain Dr. Campolo as he finds it restful to have his meals on his own. Invoicing – After Dr. Campolo has returned from your speaking engagement, you will receive an invoice for the agreed upon honorarium and the travel expenses incurred during his time with them and while traveling to and from their event. You will also receive receipts for each invoiced expense and a copy of Dr. Campolo’s W9. 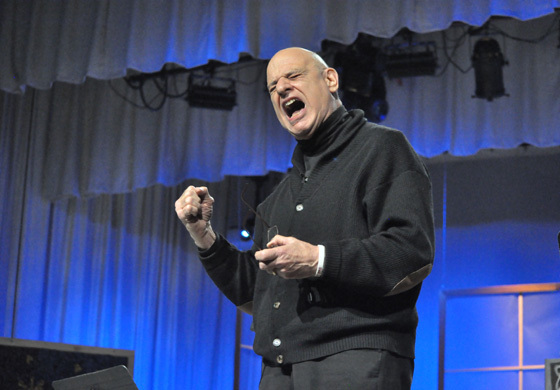 Recordings – You are encouraged to record and distribute Dr. Campolo’s message(s) from your time together (whether it is by audio or audio/video recordings) provided the full length of Dr. Campolo’s presentation is used without any editing. Such recordings may not be sold for profit without written approval from our office. As a final condition of this permission, we ask that you send a copy of any recorded content to our office within two weeks of your engagement date for our reference and use. 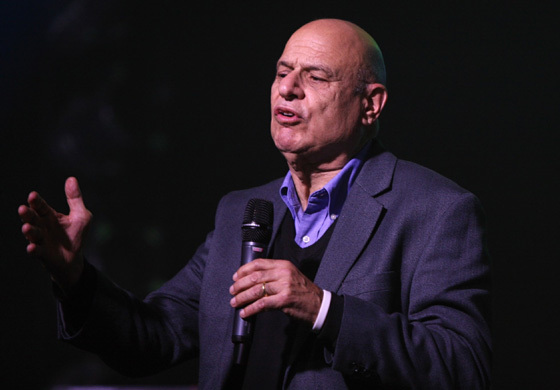 You are welcome to use these photographs of Tony Campolo in conjunction with his confirmed participation at your event. Please do not use photographs of Tony Campolo to imply his endorsement of or attendance at events or organizations without explicit consent. 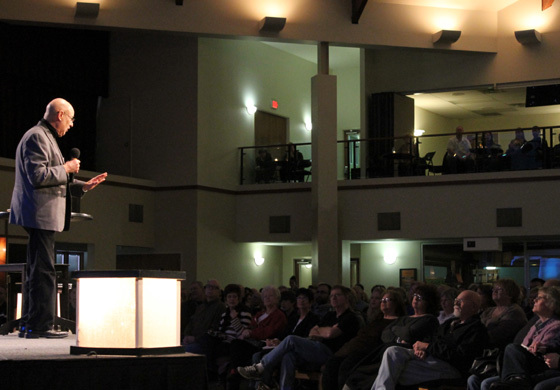 Will Dr. Campolo speak at my church even if we disagree on some issues? What is Dr. Campolo’s speaker’s fee? Dr. Campolo intentionally does not have a set speakers fee because he prefers to accept invitations on a case by case basis. Therefore, we ask that the host organization propose the honorarium amount based on what is normal for their group to offer. What if my speaking engagement includes a meal, does Dr. Campolo have any dietary restrictions? Yes, Tony is diabetic but handles it with his diet. He needs to eat regularly to maintain his sugar levels; this is most important. He tries to avoid red meats so he usually eats white meats or fish. He also likes soup and salad with dressings on the side. He tries to limit the fats, carbohydrates, sugars and salt. In general, he follows a low fat, low carb, low sugar, and low sodium diet and should limit fruits and snack foods. Can Dr. Campolo provide me with information on his presentation in advance? 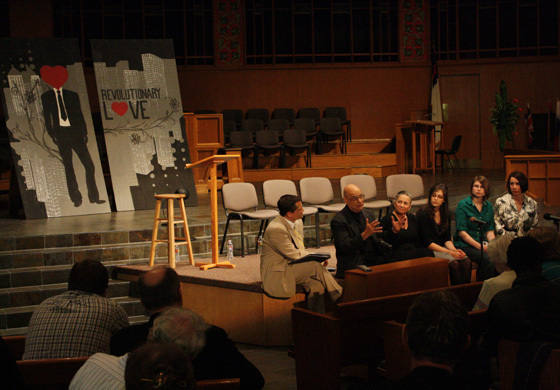 Dr. Campolo does not generally provide titles, synopses, or scripture references in advance because he speaks so often and because he prefers the freedom to address each group as he feels led at the time. If it is necessary for him to make an exception to this policy, he will need three to four weeks of advance notice in order to respond to such requests. It is completely acceptable (and actually preferred) for you to select the title, theme, and/or scripture you would like him to address while he is with you. 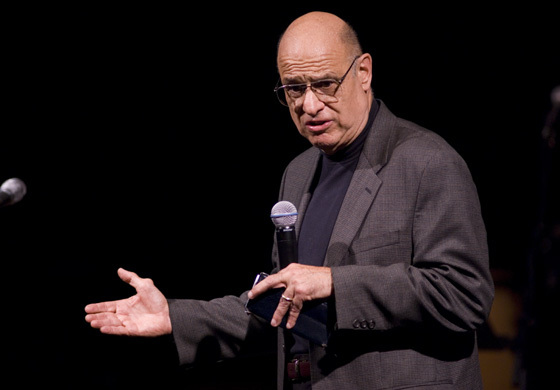 Will Dr. Campolo have books available for sale when he speaks? Yes, books can be provided upon request. You will have the opportunity to indicate your book table preferences during the event planning process. Can I record Dr. Campolo’s presentation? 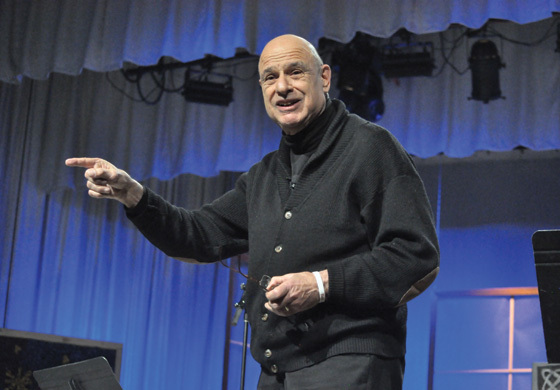 You are encouraged to record and distribute Dr. Campolo’s message(s) from your time together (whether it is by audio or audio/video recordings) provided the full length of Dr. Campolo’s presentation is used without any editing. Such recordings may not be sold for profit without written approval from our office. As a final condition of this permission, we ask that you send a copy of any recorded content to our office within two weeks of your engagement date for our reference and use. Does Dr. Campolo have a microphone preference or any special AV requests? Dr. Campolo prefers to use a lapel, handheld, or podium style mics. His only preference is that he not use an over the ear style mic if it can be avoided. Dr. Campolo does not use any media in his presentations so AV equipment is not required. Can I have Dr. Campolo’s W9? Shortly after Dr. Campolo returns from your engagement, you will receive a copy of his W9 along with an invoice and receipts for any related expenses. Please do not give the honorarium to Dr. Campolo on the day of his engagement, but allow us to invoice you. This is best for Dr. Campolo. When can I expect Dr. Campolo to arrive at our venue? In most cases, Dr. Campolo will be scheduled to arrive 20 minutes early to all speaking activities. I am providing Dr. Campolo with ground transportation, where should I plan to meet him? Meeting locations will be arranged from the baggage claim for travel to and from the airport, and at the hotel reception desk for travel to and from lodgings. Someone said that they want to interview Dr. Campolo while is visiting my group, is that okay? Any activity where Dr. Campolo’s participation is requested must receive prior approval by his office. There can be, absolutely, no “add-ons” (interviews, QA sessions, special meals, prayer meetings, book signings, etc.) without prior approval from his office.